B for Bag check-in luggage section includes all the main luggage brands and on-line retailers. You can use the product search to look for a specific suitcase or use the filters at the top of each category to search for specific brand, retailer or price range. Wheeled suitcases are understandably very popular. It is actually quite difficult to get non-wheeled suitcases these days. The wheeling system adds a little bit to the actual weight of the suitcase but the pros easily outweigh the cons. It is just so much easier and convenient to be able to wheel packed check-in bags around than having to carry them. 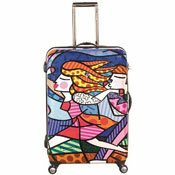 Spinner luggage is very popular choice by travelers. They are so easy to maneuver. The spinner wheels allow you to pull, push and turn the bag in any direction with minimum effort, reducing the strain on your arms and shoulder. 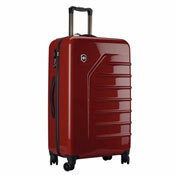 The spinner wheels are unprotected so it important to carefully check the Luggage Wheels quality and durability. 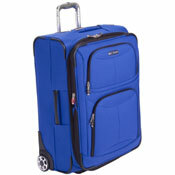 Duffels are popular as hand luggage but you can also get wheeled duffel bags with large capacity. This is great for those travelers that prefer the soft expandable shape of duffels to more rigid suitcases. 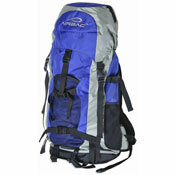 Backpacks are also popular carry-on luggage but you can get large capacity backpacks, ideal for backpacking adventures. There are also wheeled backpacks available but they are not intended to be carried on the back for long periods. They are more traditional check-in luggage with the option of either wheeling the bag or carrying it on your back. 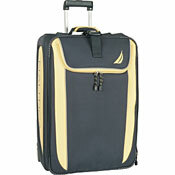 Luggage sets are practical and economical choice. If you own a luggage set you will always have the right piece of luggage at hand and for much less than if buying each piece separately. 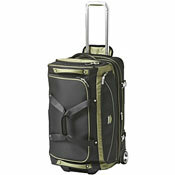 Luggage sets are great for those that travel frequently but everyone can find Luggage Set to fit their travel needs. The difference between soft and hard-sided luggage is less prominent these days, i.e. 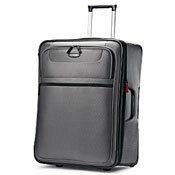 you can now get similarly durable and priced soft and hard-sided suitcases. If you are unsure which material to go for, check out our Luggage Material advice. Finally, if the luggage weight is paramount to you, then you should check out our lightweight luggage section. © BforBag.com 2016. All rights reserved.